I love to run and I am particularly thrilled that the Dude also has an affinity for it as well. There's something about being able to head off into the woods for a trail run with my little man, chatting and enjoying the view, stopping when we feel like it and setting longer and longer distance goals each year. Last year, he did his first official race: bib, medal and all. It was a really fun experience and he was begging me to find another event to do together this year. Unfortunately, late registration for most Fall events around Ottawa seems to be rather expensive for just a fun outing between the two of us, so I went online to figure out some other options. That's when I discovered Virtual Nerd Runs. ...while pondering which race to complete next and how to be more creative in his fundraising, a idea was brought to his attention to conduct online virtual race fundraisers. Not only would this raise money for a cause that had become so dear to his heart, it would reach outside of his hometown barrier. Each race allows participants to not only run for a cause wherever their location is in this world. In return, the runners receive a race medal (or as we call it “bling”) for their support and efforts. And not just any bling. NERD bling. 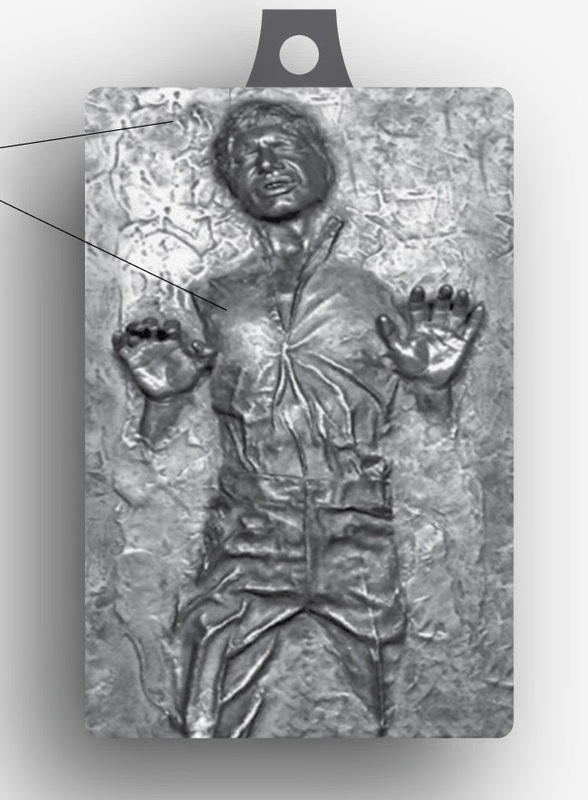 Han Solo in Carbonite!!! Officially the most amazing running medal I think I will ever earn. Ever. There are a whole bunch of Nerd Races with different distances and bling for all types of nerds. The medals include: He-Man and She-Ra, Shark Week, Beavis and Butthead, the DeathStar, and more. They even sell races in bundles so you can earn a couple of co-themed medals. I mean, if you're already planning to go out for a run, why not help raise money for charity and earn a unique piece of nerd street cred while you're at it?